Heat oil in a deep pot or deep fryer until it reaches 375. Mix honey, mustard, hot sauce and butter together in a small sauce pan, cook until combined. Deep fry chicken wings until slightly browned, approximately 5 minutes (party wings are small). Cook longer if using larger size wings. Remove from oil and drain on a plate lined with paper towels. Place in a single layer on a cookie sheet and cook for approximately five minutes. Brush with whatever is left in the bowl. 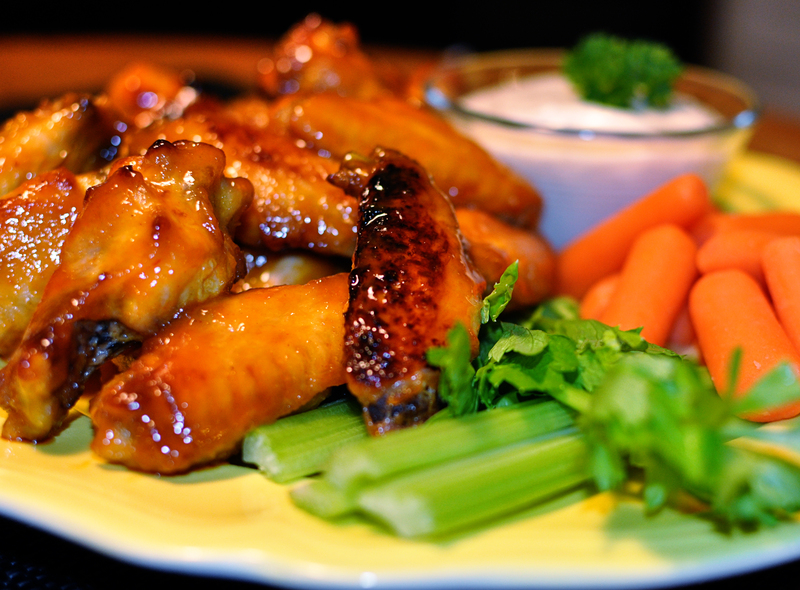 Serve with your favorite bleu cheese or ranch dressing, carrots and celery sticks.